Napster, the king of streaming music payouts, now pays out $0.019 per stream. To meet the monthly minimum wage amount in the US ($1,472), an artist needs 77,474 total plays. TIDAL remains a top player. The service pays artists $0.0125 per stream. Nowadays we are used to listening to music mainly in streaming , through services like Spotify , Apple Music and YouTube (both normal and in premium version ). But it has not always been this way: in the early 90s, at the dawn of the Internet, the recording industry was still doing great, and most people heard cassette music or CD music . Then, with the arrival of Napster , everything changed. Today 19 years have passed since the attempt of the record companies to stop the new digital reality, and we want to take this opportunity to tell you its story. Let’s start from the beginning: it’s the 90s , and the recording industry completely controls its distribution. Most people listen to music from physical media or from the radio . The piracy already exists, but is mostly limited to people who rippano CDs or cassettes that impact. It is therefore a limited phenomenon, especially when compared to what is about to happen shortly thereafter. June 1999: Shaw Fanning , an 18-year-old programmer, launches Napster . It is, “trivially”, a peer-to-peer file sharing service , or “peer” , not centralized and where all the nodes are equally important. Users, by installing the program, make available to all the music saved on their computer. It’s a revolution, with 80 million people registered at its peak. In colleges, where the connection speed is higher than average, up to 61% of the traffic is downloaded MP3 . Music labels can not remain in your hands. On December 7, 1999 the Recording Industry Association of America ( RIAA , the US equivalent of FIMI ) sued Napster for copyright infringement . The trial lasts until the first half of 2001 , and in the meantime Napster continues to grow, thanks to media attention. Several artists are publicly siding against the “piracy” service. In particular, Metallica are the protagonists of both a further legal action against Napster and a controversial and provocative TV commercial. Eventually the industry wins the case, and in the J uly 2001 Napster was forced to close. But it is too late: the paradigm shift has taken place, and Napster users simply migrate to other similar platforms, in a fragmentation that is hard to combat. It is not possible to go back, but there does not seem to be an easy solution to counter piracy. As long as someone does not invent it. Steve Jobs, in 2001 , in agreement with the various music producers, launches iTunes . There was not even the iPod , presented later that year, but it is still an epoch-making change. Apple’s digital market is a commercial success , and it gives the industry a chance to truly enter the twenty-first century. The idea of ​​the album becomes old-fashioned, and they begin to dominate the individual songs, usually sold at 99 cents each . The landscape, however, is not as flourishing as before Napster: most of the distribution is no longer in the hands of production companies, and profit margins decrease considerably, especially for artists. The download , legal and illegal, is not intended to remain. In 2005 YouTube arrives , and it’s another revolution. YouTube is now a platform used, as well as for amateur videos, to upload music illegally. YouTube is still the most used platform for on-demand music streaming . This time the record industry does not intervene as heavily as with Napster. On the one hand begin to emerge artists born on the web and close to this, started from the bottom thanks to digital platforms, on the other YouTube plays on the side of the industry, allowing the monetization of video and checking copyright infringements thanks to tools such as the Content ID . In addition to Youtube, a whole series of services dedicated exclusively to streaming music, such as Spotify , Pandora and the same YouTube with YouTube Music , are starting to appear . Their mobile and flexible listening pattern changes the music industry once again. Apple itself begins to rely less and less on iTunes (at the beginning necessary to manage their iPhone ) and launches the Apple Music streaming service . The transition to streaming and on-demand involves, with different timing and methods, other industries, such as film and television, with Netflix , Hulu and Amazon Prime Video . But while the latter, along with traditional networks and producers, bring more investment and greater content creation, this is not the case with music. Spotify, despite the enormous success, it is not yet active : Users premium are still much less than free , monetized with advertising, and profit margins for the various artists are very limited. During the trial against Napster, public opinion has not simply divided into “scroungers” and people who instead recognize the right of artists to be paid for their work. There are also those in Napster who see a possibility, a democratization of music, with the possibility for some artists to be known by the public without going through contracts with record companies. 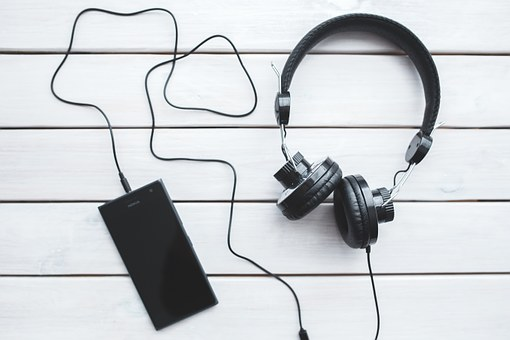 Moreover, not all are convinced of the close link between illegal downloads and sales decline , indeed: some argue that, with the ability to more easily know more artists, people end up buying albums that otherwise would not even considered. If these speeches seem familiar to you, you are right: the diatribe between those who see the network as a democratic place and those who see it as a place without rules has emerged many times over the years. When Taylor Swift went against Spotify , it was not a different attack than Metallica made against Napster. When people say that the illegal downloads of HBO’s TV series , like Game of Thrones , are actually a good thing, because they expand the pool of people who will then buy DVDs and merchandising, it is nothing that had not already been said at the beginning of the 2000s for Napster. The speech is obviously very complex, and it is neither easy nor correct to express a valid judgment for everyone. You may be surprised to know that Napster still exists: after its closure, the logo and the brand have passed through many hands. Following the bankruptcy, the company was bought by Roxio , who rebels his Pressplay music service with the name Napster 2.0 . In 2008, it was sold to Best Buy , and in 2011 it was merged with the Rhapsody streaming service , which permanently changed its name to Napster in 2016. In a sense, therefore, Napster still lives , even if completely different from phenomenon that was in the 90s. Who knows that the future does not give us surprises, with a Napster again protagonist under another guise. Apple Music Versus Spotify, The Winner is Clear! It is not easy to choose an app for streaming music these days . Usually, subscription prices are the same, the music available does not vary much and apparently the services resemble each other. But there are some important differences that define what the app is right for you. Subscriptions: Spotify offers a free version of its app while Apple Music is only available with subscription, after three months of free trial. For the purposes of this article, we will compare the paid version of Spotify with Apple Music. Apple Music first requires you to select the music genres and artists you like. Once you’ve made your selection, Apple Music starts recommending playlists and musicians you think you might like. Spotify does not have this kind of function but learns, over time, from your listening habits. Both apps allow you to ‘like’ on a song, knowing that you’d like to hear more songs like your favorite ones. Simply Spotify does a better job than Apple Music when you recommend something . Every Monday you receive a new ‘Discover Weekly’ playlist – 30 songs similar to the music you’ve listened to in the past, chosen using an algorithm. Spotify also has an entire ‘Discover’ page that gives advice based on the musicians you often listen to. The two navigation bars are quite similar – they are the bases in which to find new music, playlists, videos and concerts. Spotify presents you some ‘Daily Mix’ playlists made up of songs and musicians that you already know and that you listen to often. Usually, they are grouped by gender. In addition Spotify takes the musicians that you have listened to a lot and recommends similar ones (as seen from the image on the right). Spotify’s ‘Discover Weekly’ is one of its best features. Discover Weekly, a playlist of 30 songs that updates every Monday, is one of the best parts of Spotify . It makes you know songs and musicians that you probably have not listened to yet based on your previous ratings and that you’ll probably love as well. It is a consistent and reliable way to discover music that you will like and probably every week you will end up waiting for the new version. The Release Radar, in the image on the left, is a playlist that is updated with the music recently published by the musicians you listen to. Apple Music gives advice and promotes musicians similar to those you already listen to , but it is not as exhaustive as the various ways in which Spotify offers you new music. Spotify clearly wins in this discipline. But Apple beats Spotify in another field – the user interface. When ‘saving’ songs, both in Spotify and in Apple Music, it means that you can access them later without having to search again on the artist page. Both services also provide you with the ability to download the music you have saved in your library. But once you really go to the musician’s page, things change dramatically. The page of the musician in the Apple Music library is clean and simple to navigate – each album is shown separately with its own graphics, allowing you to quickly select the album to listen to. Spotify, on the other hand, simply throws all the saved songs of a certain musician into a sort of playlist , without understanding when an album starts or ends. You can easily go to the musician’s online page (not in your library), where the layout is quite similar to that of Apple Music but this requires an internet connection and frustrates the saving of music in your library and above all the opportunity to download it. Spotify wins in the quality of the audio options. You can set an equalizer for both apps, but the one in Spotify is easier to find and, in addition to the preset equalizations, allows you to customize the actual frequency response curve. Apple’s equalization is outside the app, in the phone’s music settings, forcing you to exit the app to adjust it. Spotify allows you to choose exactly the type of audio quality you want, both when you are streaming and when you are downloading. 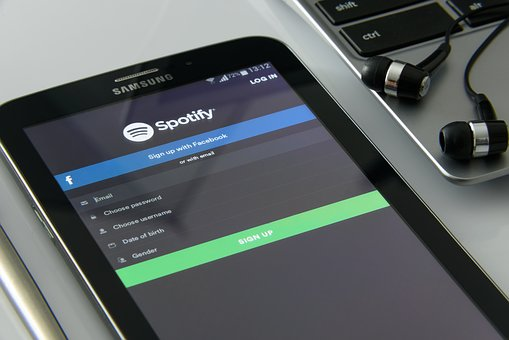 With Spotify you can choose whether to download (which affects memory) or listen to streaming (thus affecting data roaming) music in low or high quality , with some intermediate settings; allowing you to decide if you prefer to have better listening quality or more space on your phone. Apple automatically gives you music in the highest quality when connected to wifi , but you can also allow high quality streaming with data roaming. However, you can not check the details of the sound quality or file size. Both apps have a radio, but in this case Apple wins. If you use Spotify, you can safely ignore the radio function. You can choose between radios that are based on a musician, genre or song, but you’d probably be much better off making a playlist or using the ‘discover’ features, as Spotify’s radio tends to repeat itself if you listen to it for long or not. it offers you nothing really new. Apple Music, however, has the same style of radio Spotify (based on musician, song or genre), as well as some radio stations with real DJs who choose and put the pieces, adding a personal and human element to the Apple radio that is absent in that of Spotify. Spotify has podcasts integrated into the app. The selection is not as extensive as that of Apple’s independent podcasting app, but you do not have to leave Spotify to listen to podcasts. You can add them to a playlist, or save them in your library along with the music. Both apps have video sections – but nothing transcendental. Spotify has some music videos and episodic content, but nothing very exciting. In this case, depending on the content available, the victory goes to Apple Music, but in both apps there is still no real reason to use the video bar. The Spotify top chart allows you to search by country or globally, and also shows you the 50 ‘viral’. Apple Music has a single top chart, but lets you search by genre – no feature in Spotify. Spotify is more social than Apple. Both apps show you what your friends recently listened to and the playlists they posted. But Spotify lets you see in real time what your friends are listening to . On the desktop version of Spotify, the social bar on the right side shows you what all your friends are listening to or have listened to recently. This feature can be turned off temporarily or permanently if you do not feel particularly inclined to share the embarrassing song you are listening to at full volume with others. Regarding the interface of music reproduction, the two app are very similar. But Spotify has more features – like moving drawings or Gif animation for some songs. Spotify even has some ‘behind the text’ lyrics of Genius integrated into some songs. Spotify will show you upcoming concerts nearby based on your listening habits. Apple Music does not have this feature in the app but can be integrated into the Bandsintown app, which will determine your tastes directly from your Apple Music library. Tinder along with other apps like Bumble and Discord, includes a Spotify integration , allowing you to show off the recently listened artists on your app profiles by appointment and choose an anthem that best represents you. From time to time, Apple Music has exclusive albums. Although Apple and other streaming services are renouncing the exclusives on the albums , these sprout from time to time. The 2016 album by Drake ‘Views from the 6’ was initially an exclusive of Apple Music before moving on to other platforms. It’s a fun way to collaborate with your friends in the endless search for the perfect playlist. So: which app is the winner? Spotify. It has its downsides, such as a confusing library interface and a dull radio, but the positives clearly offset the negative ones . The aspect of musical discovery is enough to classify Spotify in front of Apple Music – the algorithm is very effective and you probably will not be disappointed by the proposals of the app. The other differences, such as album art and audio quality options, are negligible but add up to a better overall subscription package and a better experience than that provided by Apple Music. Obviously this is a very competitive market and the companies constantly update their apps adding new features: therefore, check if in the meantime our verdict has not already changed. Family packages and student discounts, but in the meantime Spotify slips to second place in the US in the ranking of the most used services for music streaming. In February, the Wall Street Journal published a surprising report: according to the research of the newspaper, it was expected that the estimate of subscribers to the main competitor, Apple Music, would have surpassed those of Spotify already by this summer. At the beginning of the month, a further investigation confirmed that the prophecy of the Wall Street Journal has come true: now Apple is in front of Spotify for the number of subscribers to the platform. Now, a new study explains why Spotify has apparently "lost" the music streaming wars in the United States. And because it will continue to stay behind. So, why do so many Americans easily leave Spotify? Options, options and options. Maybe too much choice. Also according to the Wall Street Journal, Apple Music has a subscriber growth rate of 5 %. However, the newspaper admitted that analysts should not expect the service to replicate its success worldwide. Instead, Spotify has a 2% subscriber growth rate in the United States, and a fabulous 7% worldwide. Why does Spotify have a lower subscriber growth rate in the United States? Josh Lowitz , CIRP’s partner and co-founder, simply explains that the fight is tight: "The United States is a very competitive market with a number of valid options for both free and paid streaming music." Just think of Amazon : the eCommerce giant has 90 million subscribers in the US alone and the number goes up every quarter. Amazon offers two different types of music package to its subscribers: the free one, Prime Music, and Amazon Music Unlimited at a discounted price. Would it make sense to pay around ten dollars a month more for a Spotify subscription ?